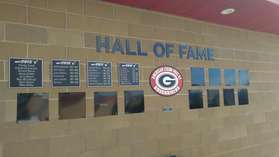 The Riders Baseball Hall of Fame was started in July of 2015, by current head coach Nate Perleberg to recognize standout players, teams, coaches, and community members. Each year a new distinguished group will be inducted into the Riders Baseball Hall of Fame. The class will be narrowed down by special criteria and chosen upon by a selection committee. Congratulations to all members selected for this special honor. We are always looking for nominees for future Riders Hall of Fame Classes. If you know of a player, coach, team, board member, fan, or community member that deserves recognition for their outstanding playing contributions or overall efforts to the Post 42 Legion Baseball program, please email Coach Perleberg at gilletteriders@gmail.com. We will bring the name up to our Hall of Fame committee for consideration. Nominees can be from 1948-2014 seasons. It is with great honor to announce the 5th class to be inducted into the Riders Hall of Fame. The 2019 class is once again an elite group of men who stood out for program both on and off the field. Our program is what it is today because of the groundwork laid by people like these. The Riders Hall of Fame Weekend will take place May 31-June 2 at Hladky Stadium. The festivities will kick off on Friday May 31 with an Alumni Game at 6:00 pm. On Saturday and Sunday the Riders will host the Wyoming/Montana Showdown with Cheyenne Post 6, Billings Royals, and Billings Scarlets all coming to town. The 2019 Riders Hall of Fame Induction Ceremony will take place at Hladky Stadium on Saturday, June 1st at 7:00 p.m. in between games. Dinner will be sponsored by Jimmy John's. Congratulations to the 2019 Riders Hall of Fame inductees.